When Sgt. Stubby: An American Hero hits theaters in April 2018, audiences will be transported to a very real time in history, but one which will strike modern audiences as foreign and fantastic. It’s fitting that the first voice we hear guiding us into our peculiar past will belong to someone known for both historical dramas and epic fantasies, award-winning actress Helena Bonham Carter. In total, she has been nominated for two Academy Awards, seven Golden Globes, three Emmys, five BAFTAs (including one win), and five Screen Actors Guild Awards (including one win) – in addition to several dozen festival accolades – making her one of the most lauded actresses working today. Beyond her critical successes, however, Helena Bonham Carter’s appearances as the Fairy Godmother in Disney’s live action Cinderella, the villainous Bellatrix Lestrange in the Harry Potter film series and the Queen of Hearts in Alice in Wonderland have endeared her to a new generation of family audiences. In addition to her many live action credits, Helena has also voiced lead characters in award-winning animated films The Corpse Bride, The Gruffalo, and Wallace & Gromit: The Curse of the Were-Rabbit. 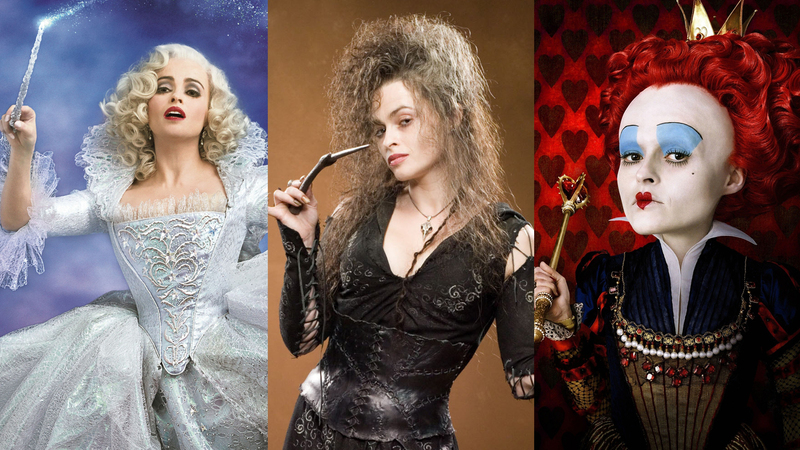 Helena Bonham Carter joins a growing list of top-tier talent assembled for Sgt. Stubby‘s big screen debut, including Gerard Dépardieu and composer Patrick Doyle (her fellow Harry Potter alum and collaborator on Cinderella). I’m thrilled to be involved in Sgt. Stubby, a film that cannot fail to capture and touch the hearts of children about the most incredible courage of an incredible dog, whilst also introducing them to the all-important piece of history that was the 1st World War. The story of Sgt. Stubby is the story of a man, a dog, and a nation finding an identity in the world. When the United States entered World War I, millions of young men answered the call: from farms and cities, great-grandchildren of American Revolutionaries and the first-generation children of recent immigrants, all ready to deploy across the ocean to support our allies for the first time. But for all the marching and marksmanship training, the success of the men in the trenches was directly contingent on the massive support efforts on the homefront, led in large part by women across the country. Storefronts became recruitment depots, flower beds became victory gardens, and knitting needles furiously churned out scarves and socks to send overseas. Helena Bonham Carter’s character, Margaret Conroy, is the sister of Stubby’s owner Robert. She is our guide into the not-so-distant America of the last century. It is through Margaret’s eyes that we see her brother’s growth from naive store clerk to dedicated protector of his friends and family, just as the U.S. transforms from an isolated haven into a global power. Sgt. Stubby: An American Hero is the incredible true story of a stray bull terrier mutt and the lasting bond he forged with the doughboys of the 26th “Yankee” Division at the onset of America’s entry into World War I. For his valorous actions, Stubby was the first dog promoted to the rank of Sergeant in U.S. Army history. The film has been selected as an official project of the United States World War I Centennial Commission and is the first animated feature for Fun Academy Motion Pictures and Labyrinth Media & Publishing, producers of motion pictures that entertain, innovate, and inspire audiences of all ages. The film is slated to theatrically debut in April 2018. For exclusive production updates, follow Stubby’s big screen adventures on Facebook, Twitter, Instagram, Google+ and Pinterest!